When talking about vaccinations, many people assume they are just for children. On the contrary, your need for immunizations doesn’t end after childhood, as immunity can often wear off and you may then be at risk of new and different diseases. Also, new vaccines are continually being trialed and certain vaccines may not have been available when you were a child. In this modern era of medicine, many adults still become susceptible and are hospitalized due to diseases that vaccines can easily help prevent. 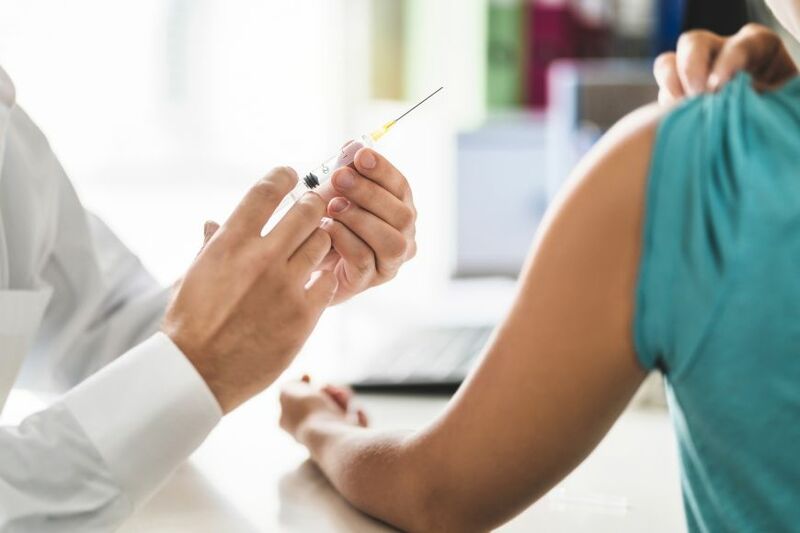 New guidelines are continually being implemented to provide the best standard of care and sometimes include recommendations on adult vaccinations. It is especially important to make sure your adult immunizations are up-to-date if you are pregnant or planning on becoming pregnant, as they can affect the immunity or susceptibility status of your baby. Seasonal influenza (flu jab) vaccines are sometime recommended for adults on a yearly basis to reduce the risk of flu and its potentially serious complications. Each year’s vaccination is designed to protect against the three or four strains of influenza anticipated to be most commonly circulated in the upcoming flu season. Pertussis (also known as whooping cough) vaccination is included in the TDAP (tetanus, diphtheria and pertussis) for women during 27 and 36 gestation of each pregnancy to pass on immunization for the babies first few months. It may also be recommended once in a lifetime for adults who have not previously had it. Tetanus and diphtheria vaccines is recommended once every 10 years. The herpes zoster vaccine is recommended for adults over the age of 50 to reduce the risk of shingles, which is caused by reactivation of the chickenpox virus. Two pneumococcal disease vaccines are recommended for adults ages 65 and older. This vaccine may also be recommended to younger individuals at greater risk or those who smoke cigarettes. Hepatitis B infection can lead to serious liver problems such as cirrhosis and cancer and is highly infectious. Vaccines are offered to individuals at high risk of infection through contact of fluids, or those diagnosed with diabetes. Human papillomavirus (HPV) infection can most predominantly lead to cervical cancer, amongst other types. Both males and females should be vaccinated by the age of 26 years old. Travel vaccinations may be necessary if you are visiting the developing world. For example, the yellow fever vaccination is required for travel to parts of sub-Saharan Africa and tropical South America. To determine which immunizations you might need, check your record and talk to a healthcare professional. Medcare encourages coming in to talk to your primary care physician to ensure you are up-to-date with all your vaccines.